This coming Shabbat , as we read about our Forefather Yitzchak losing his sight, Tzohar will call attention to needs of blind in synagogues. (JERUASALEM- November 30, 2016) In commemoration of International Person with Disability Day, held on December 3rd, the Tzohar Rabbinical Organization has announced that this coming weekend will be recognized as “Accessibility Shabbat” to call attention to the needs of the disabled community within Jewish tradition and in religiously observant frameworks. This year’s focus will be on how to address the needs of the visually impaired community. Rabbi Yuval Cherlow, Chair of the Tzohar Ethics Center who launched the initiative said that appreciating the needs of the disabled is a Jewish value that is all too often overlooked. Tzohar has developed a series of informational materials for community Rabbis and leaders, available at www.tzohar.org.il citing the biblical and rabbinical texts highlighting the importance of caring for the disabled as well as source materials to generate communal conversation of the issue. Accessibility Shabbat, which was held for the first time in 2015, calls upon congregations- both in Israel and abroad- to review their physical plans, tools and materials to assist the disabled and encourage conversation on how to facilitate greater accessibility. “There is no disputing that so much more can be done - whether it’s renovating facilities for better handicapped access, ensuring that Braille texts be available to all who need them or equipping buildings for the hearing impaired. We know that if we commit ourselves to change this can be a true source of pride for the Jewish world, ” Rabbi Cherlow says. 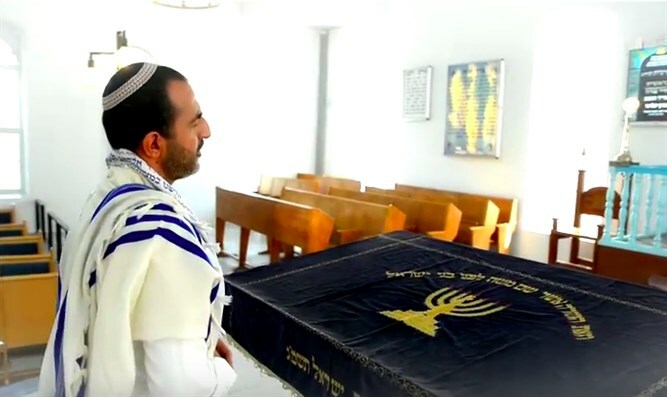 Tzohar also recommends that all religious institutions dedicate a percentage of their operating budget to better address issues of accessibility.